Lottery games have been popular for many years; giving you the chance to win life changing sums of money, online lottery sites can be fun as well as potentially lucrative. There are many different types of lotteries out there and when you play online you can take part in practically all of them. Lottery sites are designed for those who love the excitement of taking part in big money lotteries. 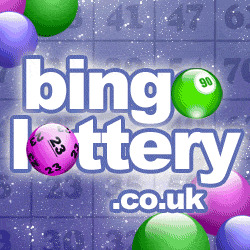 In the UK, The National Lottery is the main one that the majority of people take part in. However, there are also plenty of other lotteries out there too. The only downside to playing lotto is the fact that your chances of winning are pretty slim. There are literally millions of players all competing to win. So, if you want to improve your chances of winning, you need to focus on smaller lotteries. The jackpot won’t be as big, but you will have a much higher chance of winning at least some money than you would with the larger lotteries. While some lotteries differ, the majority require you to choose six numbers. Offline a machine is used to draw out various balls. The more balls you match, the more you will win. Matching six balls on The National Lottery for example, will gain you the total jackpot amount. Players who match fewer balls receive a set amount each. If there is more than one player who matches all six balls, the jackpot will be split between them. Can you improve your chances of winning? Since lotteries first started, people have been searching for ways to improve their chances of winning. So is it possible? Unfortunately the answer is no. All lotteries are a complete gamble and are based on luck, rather than skill. You have to choose a set of numbers and then hope they show up. In this way it is extremely similar to bingo. The results of the lottery are completely random so it does very much depend on luck whether your balls/numbers get chosen. When choosing a lottery site, you need to make sure you are entitled to any winnings if you do get lucky. If you’re taking part in foreign lotteries there may be restrictions on receiving your winnings. That’s why it is important to make sure you’re using a UK site and you have read all of the terms and conditions. Taking part in lottery games is fun, simple and a great chance to potentially win a large sum of money. It also costs as little as £1 for the main National Lottery game and other smaller variations may allow even lower stakes. As long as you take the time to research the different online lottery sites available, you should be able to find one that matches your preferences. Online lotto is a great game to play and everything is done automatically for you once you’ve chosen your numbers.